Following the success of this year’s North American Indigenous Games (NAIG), Ontario officials are now also keen to host the 2020 version of the multi-sport event.  The Aboriginal Sport and Wellness Council of Ontario (ASWCO) hosted this year’s Games in July. The majority of the sports were staged in Toronto. Nearby cities, including Hamilton, also hosted some of the competitions. ASWCO officials have now expressed their desire to host the next NAIG as well, scheduled for 2020. Many of those in charge at this year’s Games would also be involved in the 2020 NAIG if ASWCO is eventually awarded hosting rights again. If this scenario were to unfold, Laliberte believes organizers would have the capability to stage the best games in NAIG history. “A large part of the management team would be available to deliver on that,” he said. ASWCO officials have expressed their interest to stage the Games once again because the NAIG Council re-opened its bid process on Nov. 1. As of earlier this year Winnipeg was the only city that had submitted a bid to host the 2020 Games. But NAIG Council officials did not award the Games to the Manitoba city at its latest meeting, held in Whitehorse last month. “Their bid was rejected as it stood,” Laliberte said. Laliberte believes other cities will also put forth bids to host the Games now that the NAIG Council has re-opened its submission process. ASWCO is currently inviting interested cities from Ontario to submit a hosting bid for the 2020 Games. Those bid submissions are due Jan. 5. After ASWCO officials visit locations who have submitted a bid, they are expected to announce on Jan. 9, which Ontario site has been selected to represent its provincial bid. NAIG Council officials are now expected to announce the 2020 Games host next May. “We are in it just to ensure there is a NAIG,” Laliberte said. The same thing happened with ASWCO a year ago. When nobody else expressed an interest in hosting the 2017 NAIG, ASWCO officials decided to step up. Laliberte believe that decision possibly saved the NAIG from extinction. Laliberte, who lives in Thunder Bay, said no Ontario city had officially submitted a bid to serve as the 2020 hosts for NAIG. But he is expecting some cities to officially declare their interest soon. And just because Toronto and neighbouring communities staged a successful Games this year does not mean they will be chosen again if they put forth a bid. Laliberte believes one of those factors should be that the bidding city have university or college residences, where the estimated 5,000 participants will be able to stay during the Games. Laliberte was not willing to speculate how many Ontario cities are large enough to be able to meet the requirement of having a place to stay for participants and others attending the Games. The 2020 NAIG will mark the 10th running of the event, first held in 1990. The Games have never been staged back-to-back in the same city. This fact would obviously change if Toronto does end up bidding and eventually win hosting rights for 2020. The NAIG features athletes ages 13 to 19 competing in a variety of sports. Athletes represent the 13 Canadian provinces or territories. And representatives from 13 American states are also eligible to take part in the Games. Since their inception the Games have been held seven times in Canada and just twice in the United States. The motto of this year’s campaign was Team 88, a reference to the 88th call from the Truth and Reconciliation Commission. The 88th of 94 calls to action states all levels of government take steps to ensure long-term Aboriginal athlete development and growth, as well as continued support for the NAIG. Laliberte said the Team 88 motto will also be part of the next Games.